Appmazing: What Does It Take To Design An Application That Wows? You know that Apple advert, the one where one person asks another person for help with a certain task, and they respond with “there’s an app for that”? The concept of this advert is to show that there’s an app for almost everything. A few years on from the release of that advert and there really is an app for everything – well, almost. With apps being so in demand, it makes business sense to take advantage of this and design your own app. If you have the skills, knowledge, and ideas for app design, that is. The vital thing when it comes to app design is understanding that there is a lot of competition and that it’s fierce. So if you are going to design an app, whether that’s to tie in with your business or as a new venture, it’s crucial that you understand how to create an app that stands out for all the right reasons. To be able to do this you need to be somewhat of a tech geek; you need to be an innovative thinker, someone who loves creating new products and is passionate about cutting edge technology. 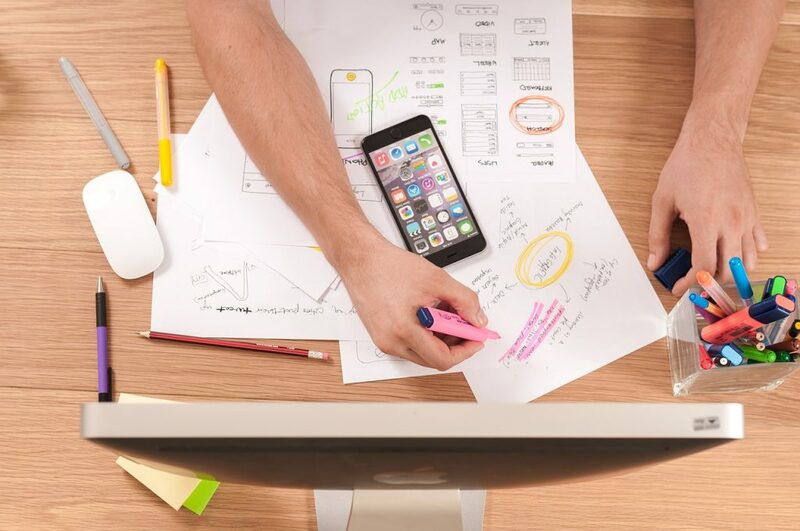 To help you get started on app creation, below are some tips for designing an application that has the wow factor and is sure to be a success. There’s no bigger mistake when it comes to app design than rushing the process. What you want to do is take the time to develop your idea before you begin turning it into an app. For your app to have the wow factor, it can’t be rushed. It is important not to rush the process because once you have started creating your app, it becomes more difficult to edit or change the concept, which is why it’s best to take your time developing your idea before you begin the process of turning it into an app. If you have ever built a website, you will know how important a user-friendly design is. The same rules that apply to web design apply to app design – it needs to be user-friendly to be successful. So when it comes to developing your app, it’s important to take the user experience into account. Think about how easy the layout will be to navigate, how quickly the app will load, and how clear the content is. If there are certain tasks you can’t deal with yourself, don’t be afraid to outsource them. Part of focusing on user-experience is ensuring that your app runs smoothly and is free from bugs. An app that has glitches can severely impact the user experience, which is why it’s worth using resources like https://www.globalapptesting.com/product/mobile-app-testing to ensure that your app runs smoothly. By testing your app before releasing it, you can find any bugs or glitches and fix them, ensuring that your app is as user-friendly as possible. Whether you are creating an app to link to your brand or as a new venture, it’s vital that you focus on branding. The fact is that it’s branding – a well-designed logo, a certain color scheme, a style of text, a content style, etc. that gives a company its uniqueness. So when it comes to designing an app, it’s vital that you focus on branding, to ensure that your app is not only unique, but also that it has that professional look and feel to it. To get some ideas about effective branding, resources like https://www.entrepreneur.com/article/276520 are useful. Want to design an app that has the wow factor? Then take note of the tips above.